Search engine optimization is simply marketing of a website or websites on the internet so that it can have a high ranking on popular search engines, such as google.com and bing.com. The process involves optimizing the website in such a way that it ranks high on the when specific key words are searched resulting in the website appearing high on the list for information directly related to the relevant keyword. The benefits of Search Engine Optimization (SEO) as it is usually called, can be seen or better understood when using PPC or pay per clicks advertising or through organic search listings. PPC advertising is used by many website owners for the sole purpose of promoting their website, however this method involves having disposable income – money. 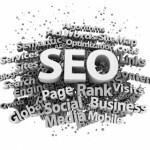 Whereas the organic search listing is the ability to have your website appearing on the top of the list when particular keywords are searched, which guarantees significant exposure for the website, this method does not require money if done by yourself, but it is very time consuming, however you may pay a professional to do it for you. SEO can get your website to rank between one and five, these page rankings receive the most targeted traffic and this is guaranteed to your website if you can get it to the top for a specific keyword directly linked to it. So imagine the possibilities of having various keywords being directly linked to your site, the number of traffic that would be flowing to your website. There are keyword suggestion tools available, google has its own, but they are some others that are pretty decent to work with out there. Search engine optimization and searching for targeted and relevant terms go hand in hand, so there is some work to be done in the initial stages to make sure the website is optimized with the correct and relevant words. You must do some research on the keywords you would like your website to rank for the more people searching for that specific keyword the greater the possibility of high volume traffic passing through your website.